Some people say that there are more Nepali film artists in the USA than in those in Nepal. When you count the well known artists, it seems the claim is true. 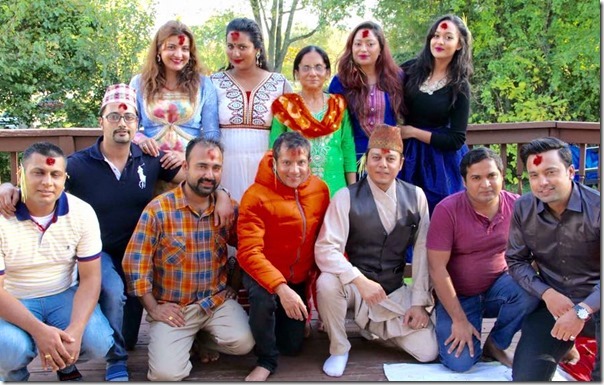 In the Dashain celebration in actress Richa Ghimire‘s residence in USA, a number of well known artists were seen taking the Dashain tika. And, may other Nepali artists were not there in the celebration. This year, Dashain celebration at Richa’s home is special as Richa’s mother is with them. Dahsain is the festival in which elders offer tika to youngers. May be that is the reason there were lot of artists seen in Richa’s home. 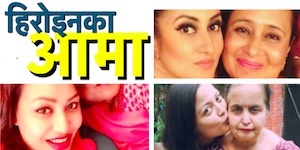 Other artists in USA like Saranga Shrestha, Pooja Chand, Jal Shah, Yuna Upreti, Usha Poudel, Malina Joshi etc. were not seen in the celebration. 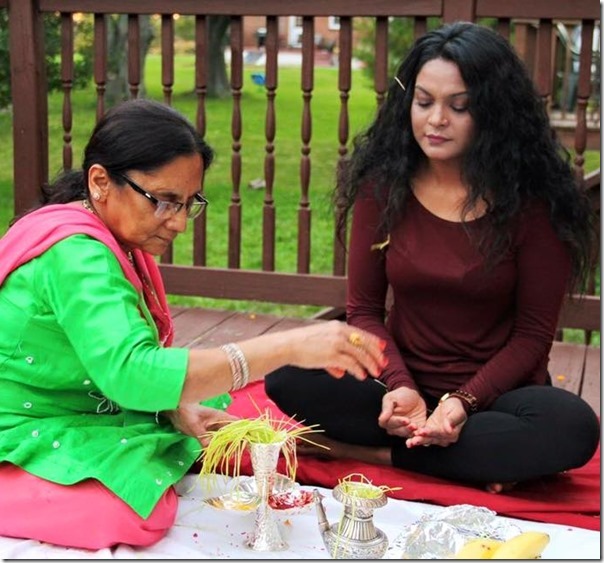 Saranga is currently in Nepal and is celebrating Dashain with her family members after a long time. 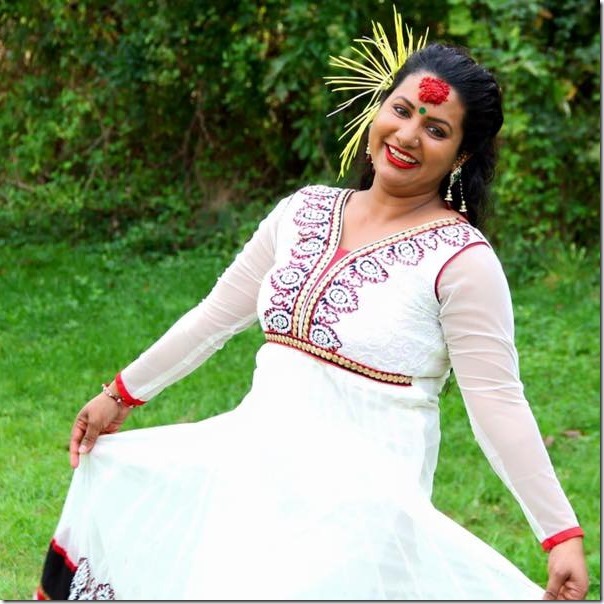 Singer Nisha Sunar, Dashain 2015. 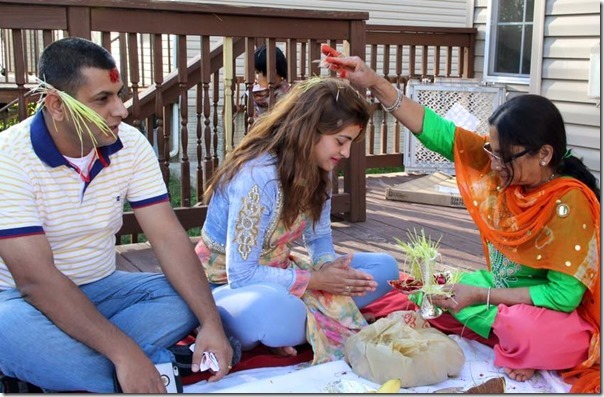 Nisha has moved to the USA after marrying choreographer Shankar BC. Shankar however is in Nepal. Nisha receiving tika from Richa’s mother. 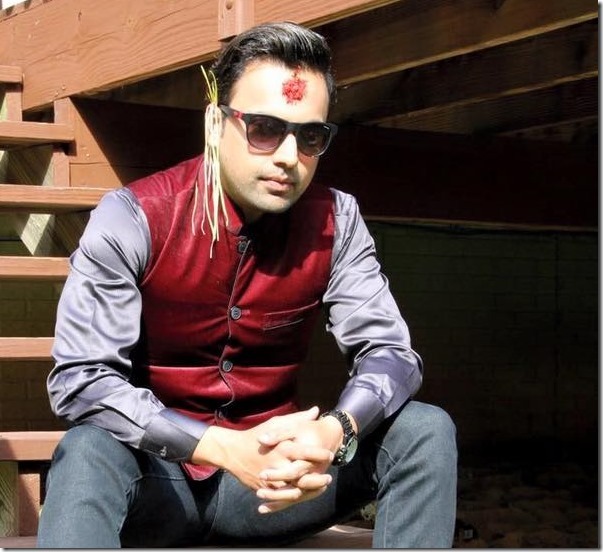 Model and actor Bimalesh Adhikari. Richa Ghimire and Shankar Ghimire. 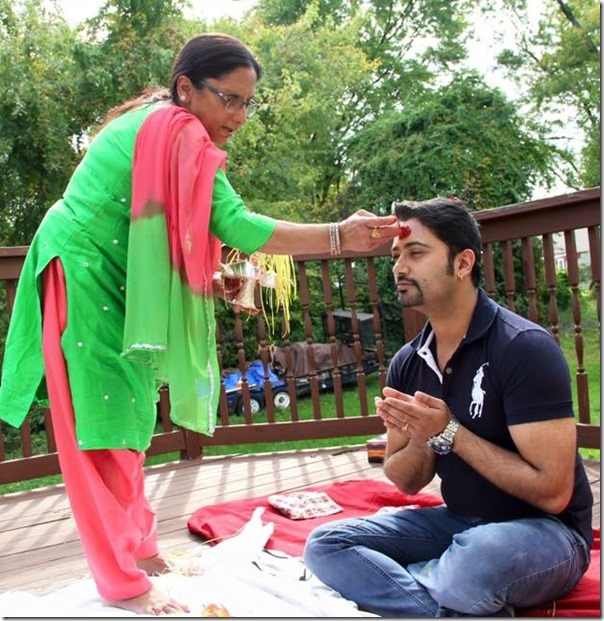 Actress Arunima Lamsal and her husband receiving tika. 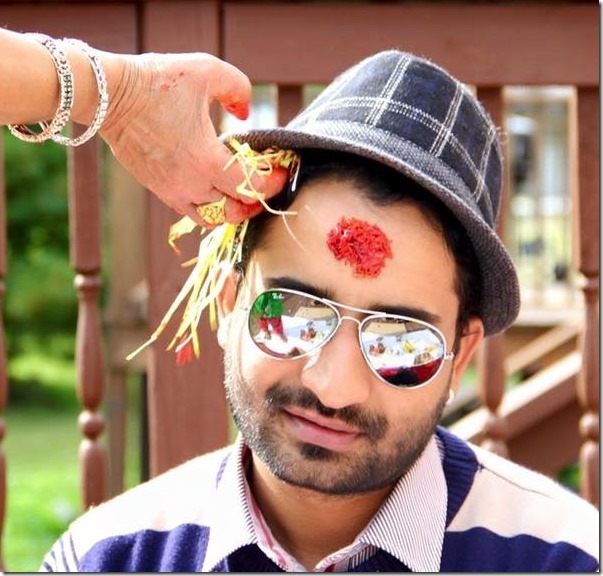 Actor Mukesh Dhakal receiving Tika. Mukesh is the husband of actress Melina Manandhar. Although Mukesh is living in the USA, Melina is still back home in Nepal. 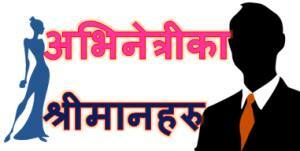 Director Shyam Bhattarai receives Dashain Tika. Shyam’s ex-wife, actress Ranjana Sharma is also in the USA. 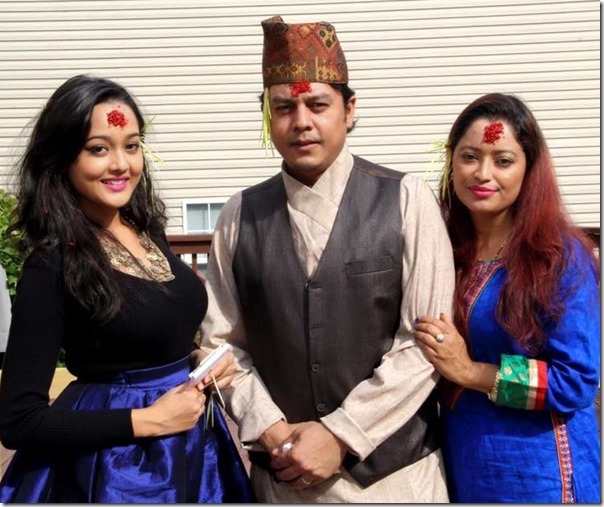 Actor Dilip Rayamajhi with his wife (right) and his daughter (Left) after dashain tika. 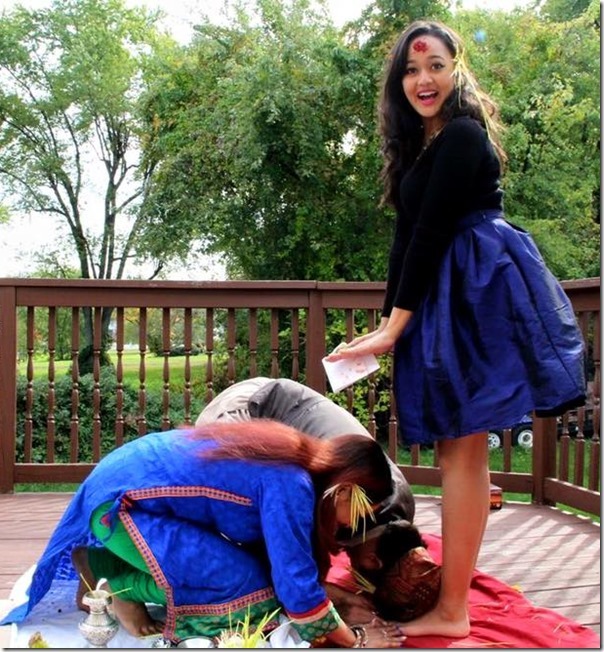 Dilip and Manju offer dhog to their daughter after tika. 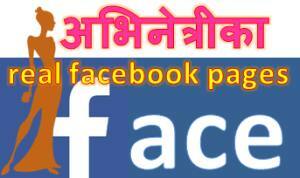 This entry was posted in Photo Gallery and tagged Arunima Lamsal, Nisha Sunar, Richa Ghimire. Bookmark the permalink.